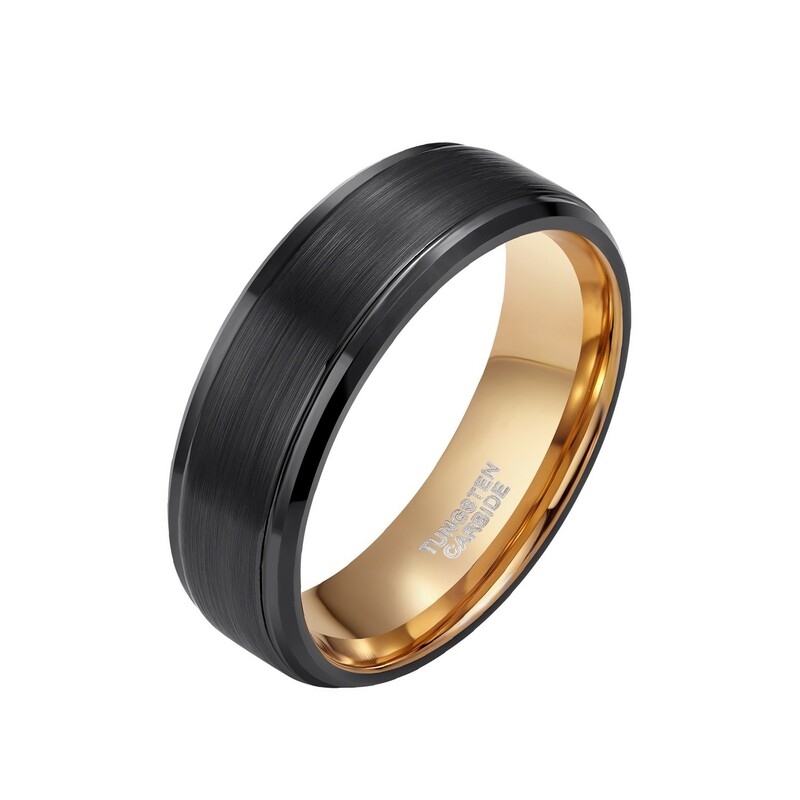 This tungsten engagement band features a two-tone design in rose gold and black. 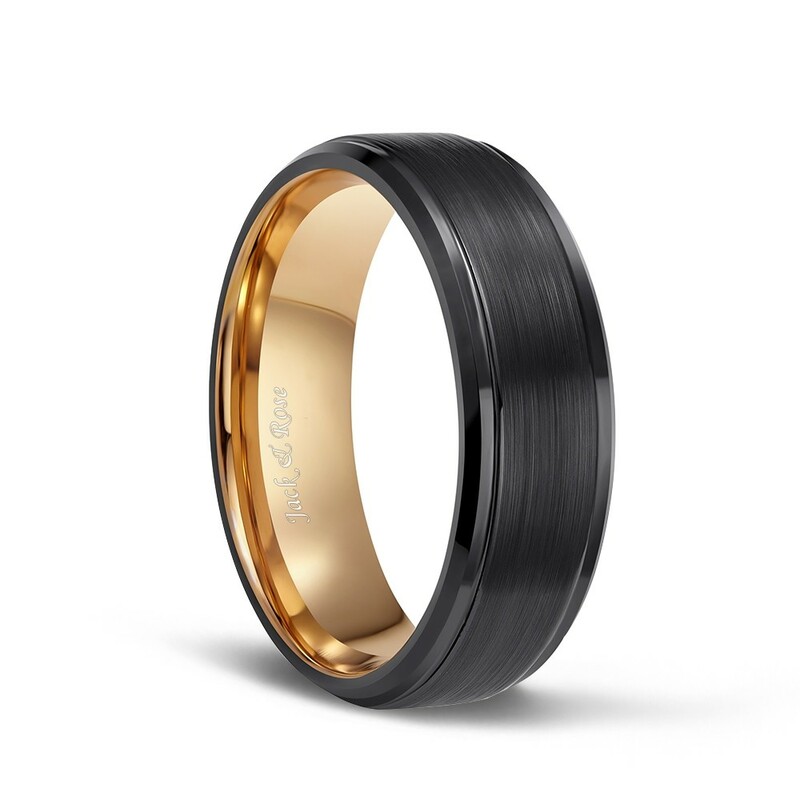 The center of the ring is black brushed and the inner ring is plated rose gold. 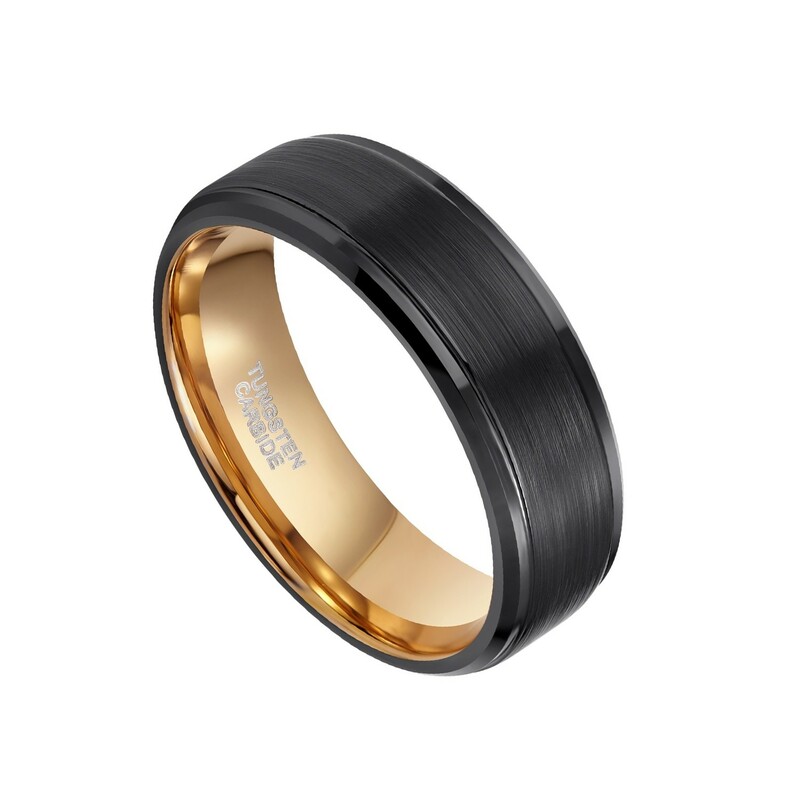 This ring is made of tungsten carbide, which means it won't scratch your fingers and will match you perfectly. The simple and beautiful design makes this ring more and more popular. Choose our products and let us offer satisfactory service for you. I bought this as a replacement ring for my husband to work in. He loves it!!! It's light weight and he says that it is comfortable. It's a great buy. Love my ring. Seems to be very durable. Would probably scratch in the industrial world, but holding up nicely for me. Loved this ring because of unique color. Comfort fit is good. Perfect mate for my rings! The ring is unbelivable for the price, so I had my doubts about the quality...however it exceeded expectations. My husband likes the weight of the ring. I will be purchasing more from this seller in the future. I am really satisfied with this ring. I really thought it was going to be another cheap ring but it is a really nice ring that I would buy again. Definitely. I wont have to though. Its nice and sturdy. This Ring is an attention getter... !! Everyone wants a closer look. Yes. We offer free life-time warranty for incidents covering any damage or size changes. If your ring is damaged or for any reason you want to resize your ring, please contact us via customer@findurings.com. We will ship you a new one for free. 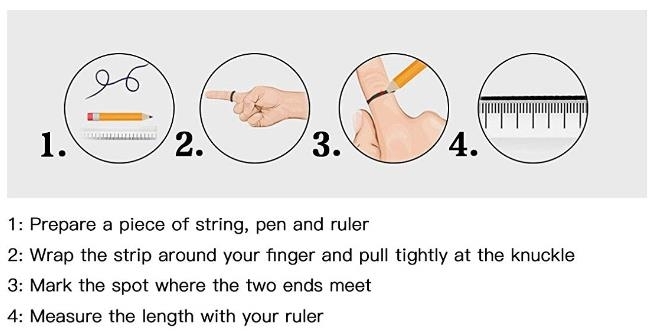 It won't make your fingers green, please rest assured. 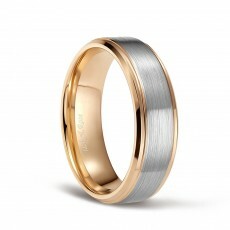 No, tungsten carbide will not loss color, please rest assured.